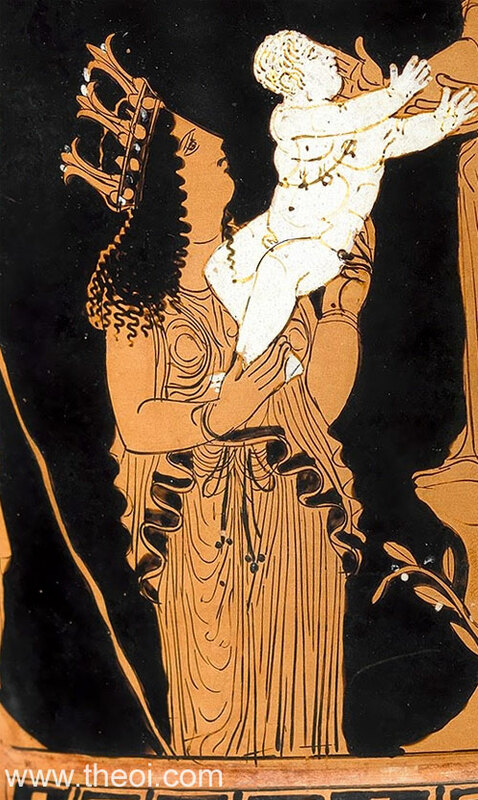 Detail of Gaea, goddess of the earth, holding her infant son Erichthonius. The earth-mother is depicted as a matronly woman with a generous figure. She wears an elaborate crown, or wreath, of sprouting spring flowers and bulbs.